- The first one is the infamous "electric brake kicks in when the headlight is on", which i reckon can be fixed quite easily. - The second one is weirder. When i get close to the 30km/h max speed, the engine start to act up. It stop accelerating, seems like it's really struggling, and then it just stops. I have to turn the scooter off, wait for a couple minutes, turn it back on. And most importantly, i have to stay below ˜22km/h, otherwise i get the issue again. as for the rest, the symptoms tend to point to the controller board and could be the main fuse is failing (common problem) . This fix is not for casual people, you will need to remove this item and then resolder a replacement . This 'B' item is a high-speed 125 mA self-resetting fuse. This degrades over time and needs to be replaced. You could just build a solder bridge across the points, but this will increase your chances of a complete controller board burn-out. Its has been done and it will work but you really should order the replacement fuse and solder that. You will need long pointed tweezers to get this one off the board. Where to buy this fast acting fuses ? Or maybe try to replace it with a bit higher acting current ~150-200mA ? I have the same issues, but it’s ridiculous to change a fuse every 150 km. I have the additional battery installed and obviously then it fails much earlier. my scooter doesn’t even have a failure code, it’s just not powerful at all anymore and the motor doesn’t keep a constant speed when the wheel is free spinning. Thank You, but if somebody here try to replace this fuse with other type (less prone to degeneration - different manufacturer or current) I'm interesting in result of this. 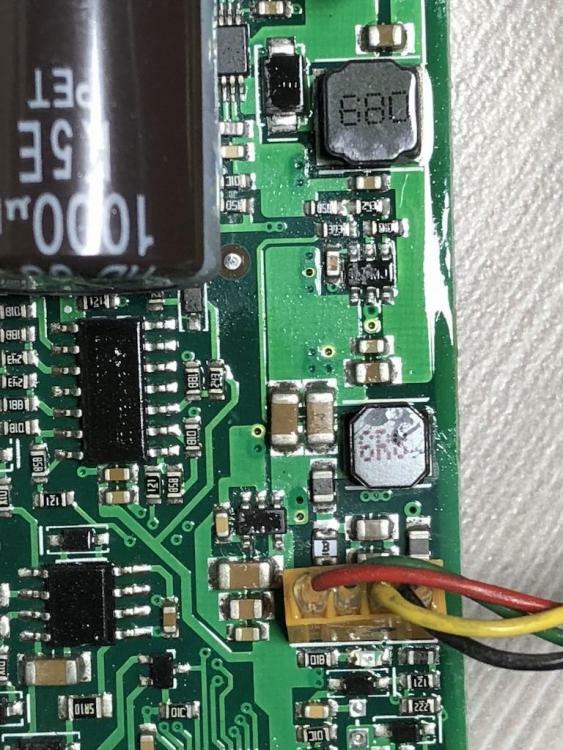 Yes we know that bridge of it (0ohm, no fuse) still works, so maybe replacing this fuse with one with a bit higher current = less often acting, not damage the controller and simultaneously extends degradation of this element (if this is direct reason of malfunctioning of the controller). No identical elements on aliexpress or ebay ... or my bad searching. So I bridged the resistor, but then I noticed that there were blown up circuits on the back side of the board. I tried to fix those with solder but when I wanted to connect the battery I had a massive spark so obviously something is shorted. Maybe a FET is shorted? I'm not a specialist. Now I can order a new control board and have to replace the battery connector. Does anybody know where to get the genuine board? Does it work plug n play? and forcing the full voltage around your bridge ( the aluminum back panel ). At this point you could order from Amazon so you have the ability to get a refund if the unit is not a genuine. you will need to be quick on the bluetooth activation to get the update firmware option from your phone to fix those issues and you will be good to go. I do recommend taking your scooter completely apart and getting it to work in pieces on the floor before reassembling it and trying to have a go at it. Segway has just release a 2019 update to the firmware which makes the scooter limit the speed to 20 K as a default now. 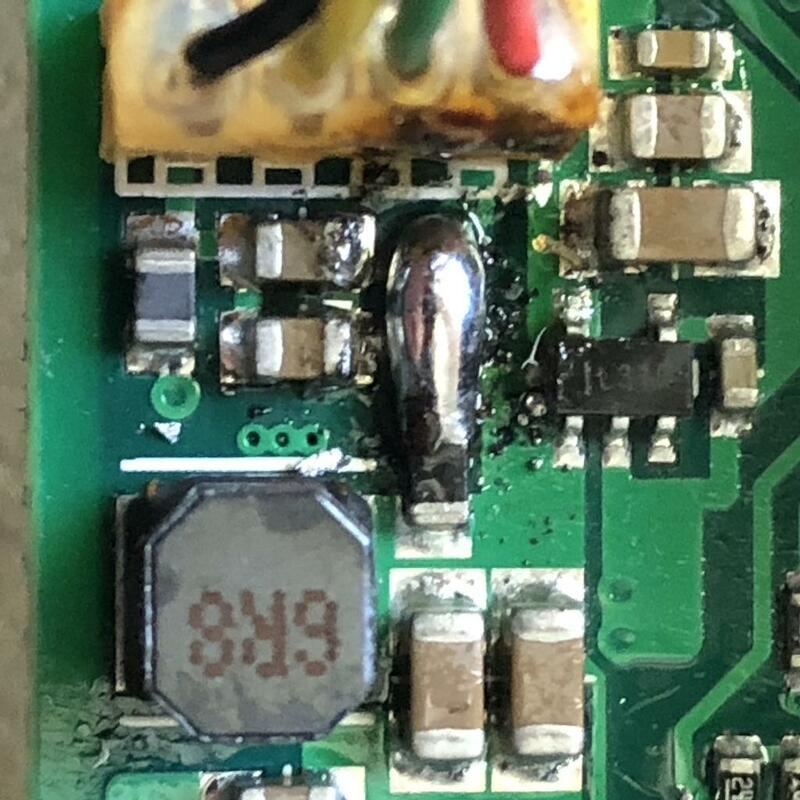 i just encountered an error 18 issue and identified a burned out component on the control board as per picture. 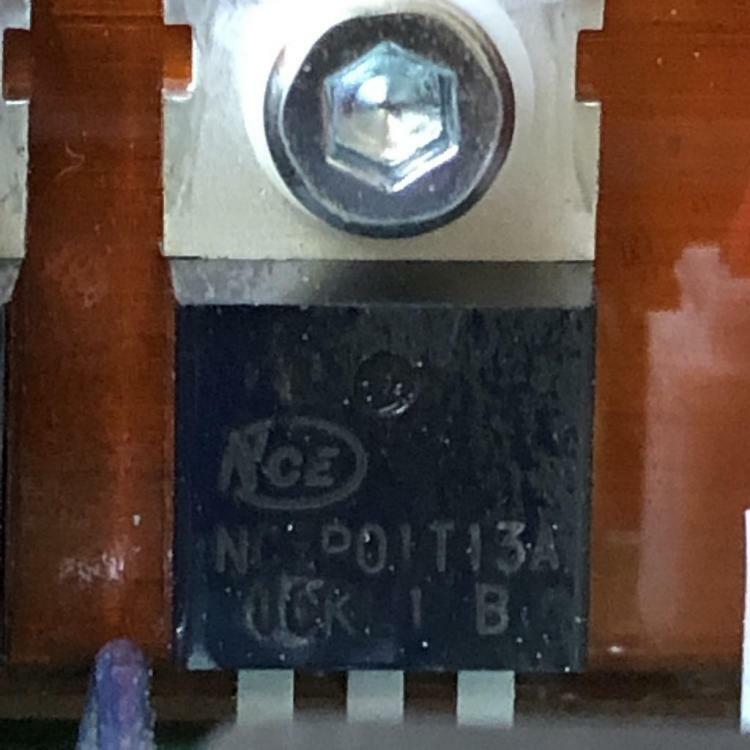 May i ask if someone knows what this component used to be? Thanks a lot in advance. But with this being blown, it's clearly showing there is a short on the board and there most likely more damage to other components, I recommend you just buy the new control board because this rabbit hole of failures will keep you digging and replacing other components. Sorry if I'm going to write nonsense, but I do not want to be ignorant. I see that there are 4 wires (Red, Green, Yellow and Black) that connect the bottom circuit (which is next to the battery), to the top where the display is. I assume that Red and Black are 5V power which should be constant, right? The rest, so Green and Yellow will be D- and D +, right? And the problem is due to the fickle 5V power supply, right? So I ask, could it be that the power supply (with the Red and Black wires) could be made by a stable circuit of a batery eliminator circuit (BEC)? Red, Green, Yellow, and Black? I don't see this combination near the battery, I see Yellow, White, Red, Black, in a small 4 slot connector. This connection is connected to the Battery and is the USB interface to the BMC (Battery Manage Chip) located there. You can't stop using the BMC since it's communicating with the circuit on the Controller board. IONBRAIN thank you for responding. I saw that I did not make myself understood, perhaps because it is difficult to make a correct and linear translation to what is intended to communicate in a different language to the native / origin. So I thank you for forgetting what I wrote, and now see what I am going to write, and please clarify me. 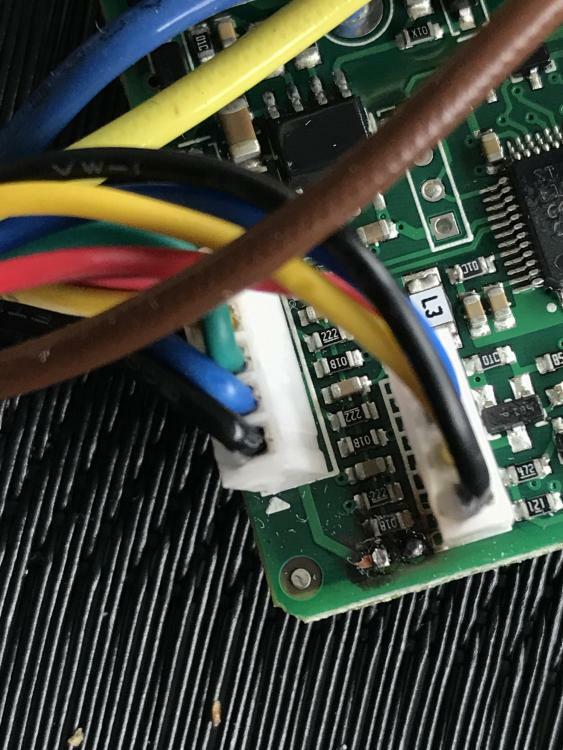 So, please see the photo Ninebot resitor.png that attachment (which I use from the ones you published, and that I apologize for using them), and see the color of the wires I mentioned, the 4 wires Red, Green, Yellow and Black, am I right or wrong? Now near the plug of these wires is the SMD Resistor (the SMD B, which I suppose is a ThermoResistor), which is giving problems, right (see the same photo as the attachment)? 1º) What is the function of this Resistor? 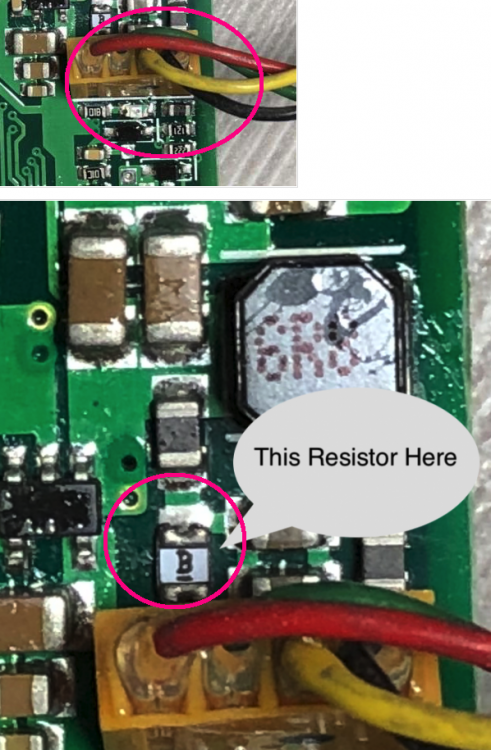 2º) Where is this Resistor connected (to Red or Green wire)? After answering these two questions, I will make others to complete my request for clarification. I think it will be easier to make myself understood. Thank you in advance for clarification, and excuse my English (I wrote with google translator help). The 'B' chip is a quick Thermal fuse. It is here to try and prevent the system from getting too hot for extended uses or heavy loads. If you replace this with just soldier or you buy a new 'B' thermal fuse. It is connected to Red wire and controls the flow of electricity to the motor bridge and lights. IONBRAIN once again my thanks for your explanatory reply. 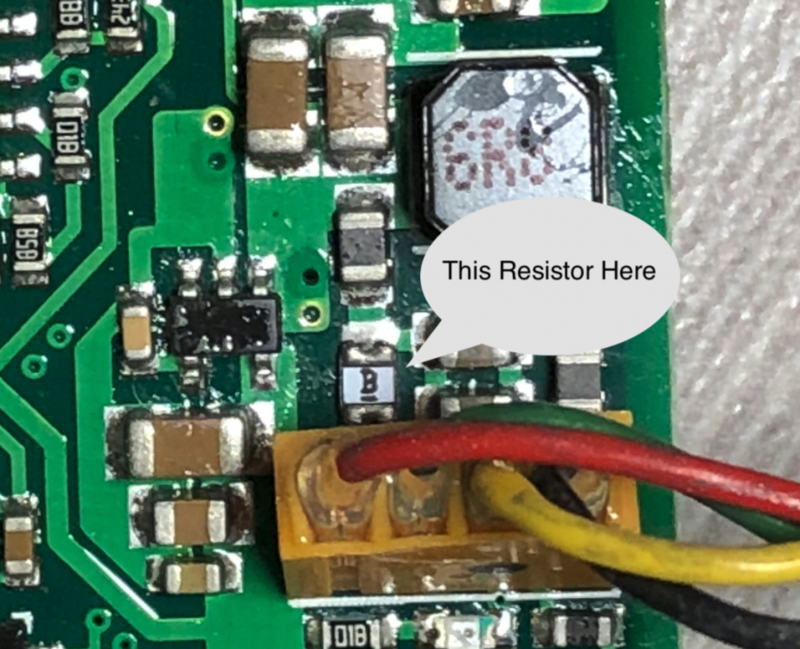 But if we change the 'B' thermal fuse, by a direct connection (shunt), or by Resistor 0603 0R, will not cause problems in other components? If the 'B' thermal fuse is damaged, where to find the substitute? I also do not understand how the control of the flow of electricity to the motor bridge and lights, by a feeding wire the Red, should not be made by the information wire (D + - the Yellow)? To finalize for now, please clarify me. From the reports I've read, most of the problems, although with different symptoms, will direct everyone to the same component, the Fuse B. So, I ask, what should be done, so that there are no problems with the fuse B ? or, will the driving behavior change? Thank you in advance for clarification, and best regards. I have replaced the 'B' fuse with another higher rater 'B' fuse, only to have it fail again. They cut corners and this is why the 'B' fuse is there in the first place. I usually just Shunt the system and the next time it will be replacing the controller board. The rider usually only rides 10 Km so it really hit maxium threshold failure unless it's a Hot day, or rider is more then the 100kg specification. So the best solution will be to replace the complete controller, but ....... so, we'll have to be careful in driving to not get back to term problems, right? So in short we have to have these all taken care of until the manufacturer solves it with a new redesigned board, right? Until then, we have to be careful and when it malfunctions, first shunt, and then replace controller boards. "They cut corners and this is why the 'B' fuse is there in the first place." What does it means? Sorry I did not realize the meaning, could you explain it better? I have already done more than 100 kms, in accentuated climbs, so in effort, I sometimes used speed of 25 ~ 30 kms, and the weight is 94kgs (including clothing and others), I do not use the front LED (I deactivated), and nothing has happened yet, so I have not had any problems yet. But if it does, so burn the fuse B, I ask what it suggests I do (weld another B, or weld 0603 0R, or shunt)? I had the same error(18) before my scooter won't even start anymore. So my question is. Is it still possible that it's the B fuse. I've looked at the control board, and couldn't find any burned out components, which makes it harder to identity the problem. 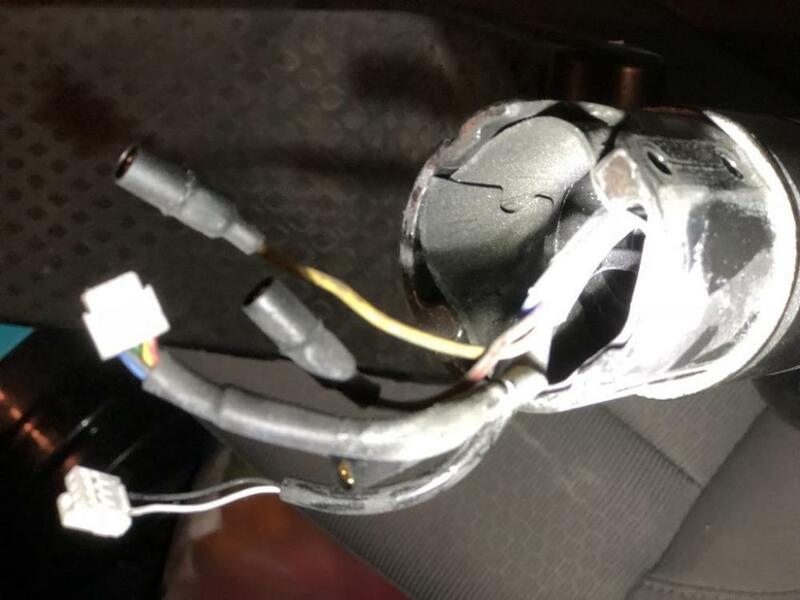 If i disconnect the dashboard from the scooter and plugin the charger. The back lights on the scooter start blinking.